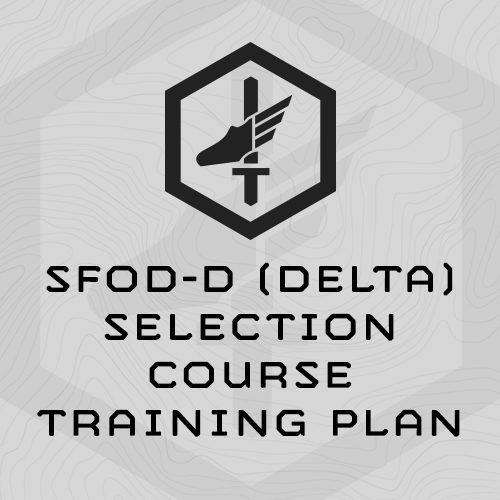 Sport-specific 10-week training program specifically designed to prepare athletes for the SFOD-D (DELTA) Selection Course. The plan includes a 2-week taper, and is designed to be completed the 10 weeks directly prior to your course start week. You’ll work up to 20 miles at 75# plus a 10# sledge hammer or rifle. What if I have less then 10 weeks before I start the Selection Course? Sandbag Getups – The prescribed rep count is total reps, so 50x Sandbag Getups at 60# sandbag = 50x total reps, 25x each shoulder. 2 Mile Ruck at Interval Pace based on SESSION 4 Heavy Ruck time. 150x Step ups @ 40# at Interval based on SESSION 1 step up time. 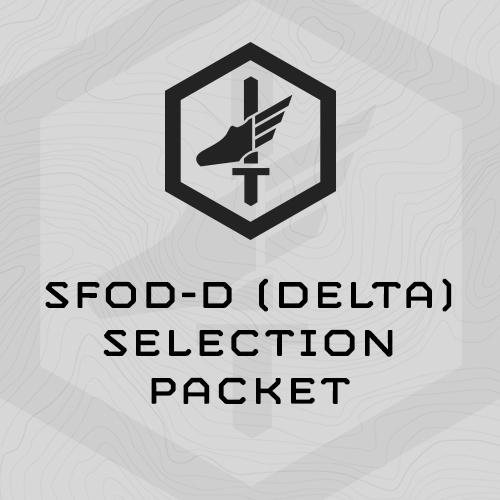 I just wanted to drop you a line and thank you for the SFOD Selection Course Training Plan I purchased on your site. I did the program twice in preparation for A&S and it proved to be quite beneficial and I know it contributed to my success there. I would have to say the only thing I would change is that I would have increased the frequency of step-ups throughout the program. Other than that, I felt I was more than prepared for selection. I will definitely recommend your site and training plans in the future.